Curb Chain lenght 40,0 cm with bolt ring as lock. for men and women also for medial pendants like Bling Bling or Gothic. Curb Chain lenght 45,0 cm with bolt ring as lock. for men and women also for medial pendants like Bling Bling or Gothic. Curb Chain lenght 50,0 cm with bolt ring as lock. for men and women also for medial pendants like Bling Bling or Gothic. Curb Chain lenght 55,0 cm with bolt ring as lock. for men and women also for medial pendants like Bling Bling or Gothic. Curb Chain lenght 60,0 cm with bolt ring as lock. for men and women also for medial pendants like Bling Bling or Gothic. Curb Chain lenght 65,0 cm with bolt ring as lock. for men and women also for medial pendants like Bling Bling or Gothic. Curb Chain lenght 70,0 cm with bolt ring as lock. 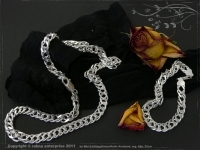 for men and women also for medial pendants like Bling Bling or Gothic. Curb Chain lenght 75,0 cm with bolt ring as lock. for men and women also for medial pendants like Bling Bling or Gothic. Curb Chain lenght 80,0 cm with bolt ring as lock. for men and women also for medial pendants like Bling Bling or Gothic. Curb Chain lenght 85,0 cm with bolt ring as lock. for men and women also for medial pendants like Bling Bling or Gothic. Curb Chain lenght 90,0 cm with bolt ring as lock. for men and women also for medial pendants like Bling Bling or Gothic. Curb Chain lenght 95,0 cm with bolt ring as lock. for men and women also for medial pendants like Bling Bling or Gothic. Curb Chain lenght 100,0 cm with bolt ring as lock. 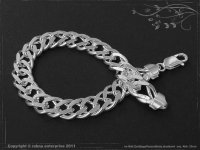 for men and women also for medial pendants like Bling Bling or Gothic.